Welcome to Stefan’s Gourmet Blog! I post sous-vide recipes on a regular basis. If you like what you see here, you can sign up on the sidebar to receive an email whenever I post a new recipe. Many recipes on my blog use a modern cooking method called Sous-vide. Sous-vi de is French for “under vacuum” and it means that you cook food sealed in an airtight plastic bag inside a water bath. The temperature in the water bath is kept constant and is lower than you would imagine, whereas cooking times are longer. Because the food is cooked inside a sealed bag, all the flavor and juices stay inside. The food is cooked evenly, it is equally cooked from the outside to the inside. A taste, and especially a texture and juicyness can be reached that cannot be achieved by other methods of cooking. Less stress at dinner parties because there is a wide range of cooking times in which the food comes out ‘perfect’ and in many cases you can just cut open the bag and serve. Also less stress at dinner parties because you can cook a large number of single person portions at the same time and all of them will be cooked exactly right. You need equipment that costs money and takes up space. Although cooking is less ‘work’, it does take more (waiting) time so you need to be prepared. You can’t cook vegetables at the same time as meat or fish in the same water bath, because different temperatures are needed (but you can keep vegetables warm in the bath while you cook meat or fish). If you want meat to have a brown crust, you still need to brown the meat before or after sous-vide cooking. Like all matter, food consists of molecules. Cooking food (no matter what method you use) changes the molecules in the foodstuff by using heat, as the molecules will change according to the temperature. Different types of food need a different temperature to be cooked, and different temperatures can produce a different texture, flavor and juiciness for the same food. If you have ever used a meat thermometer to cook meat, you know that beef is medium rare at 55C/131F. However if you roast a large piece of beef in the oven at say 180C/355F until the center reaches 55C/131F, then at that point in time the outside will be close to 180C/355F. When you take the meat out of the oven, you have to let it ‘rest’ until the temperature evens out throughout all of the meat (so the temperature is the same from outside to center). The temperature in the center will increase above 55C/131F, causing the meat to be overcooked. You can avoid this by taking the meat out earlier (for instance when the center is 45C/112F), but then it’s hard to arrive at exactly 55C/131F and in any case the outside layer of the meat will be overcooked. With sous-vide, you can cook a large piece of beef at exactly 55C/131F so it will be perfectly medium-rare throughout! The entire piece of food will heat up to the temperature of the water bath, from outside to center. This takes from 10 minutes to 4 hours or more, depending on the size of the piece of food and the initial temperature. Very tender foods are ready to be eaten as soon as they have the same temperature throughout. As soon as the temperature is reached, the food very very slowly becomes more and more ‘cooked’ and thus tender. For fish this happens very quickly, but for most other foods there is a pretty long period of time in which the texture of the food is perfect or nearly so. If you leave food cooking sous-vide too long, the texture will break down and become unpleasantly soft. Tender meat only needs to be brought up to temperature, so cooking times are short and depend only on the thickness and shape. If the meat is not too thick, you could cook lower than 55C/131F to go more to the rare side of medium rare. Tough meat needs to be cooked longer than 4 hours to tenderize it (in many cases 2-3 days) and thus it is not safe to cook at less than 54.5C/130F. Luckily cooking at 55C/131F gives excellent results for many meats and gives the texture of steak to tough cuts. Go up to 63C/145F to get a more flaky texture. Tender breast meat only needs to come up to temperature, but tougher legs or wings need a few hours and a higher temperature to get tender. Just like other types of meat, tender meat only needs to come up to temperature whereas tougher meat needs a longer time to become tender. Fish only needs to come up to temperature, and since most fish fillets are not very thick this usually takes less than half an hour. 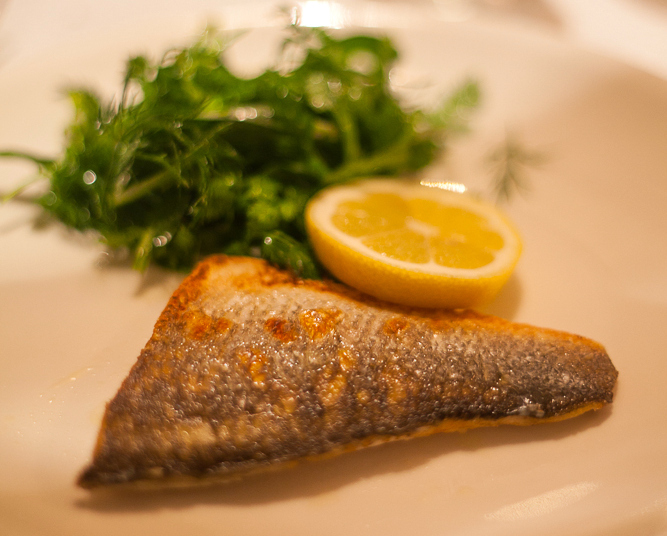 The temperature for cooking fish is lower, usually 50C/121F for a tender juicy texture that is not flaky. A temperature of 84C/183F is needed to tenderize the fibers in most vegetables. The time depends mostly on the thickness, usually between 30 and 60 minutes. Vegetables must be pre-cooked to cook them with meat, otherwise the temperature is too high for the meat or too low for the vegetables. Can you help me? I am taking my wife to Europe for our 30 year annivisary. From the USA. Never been to Europe. We have 2 days in Amsterdam and cannot decide on a restaurant. I want good quality. We do not drink wine. I booked Da Kas but unsure. No English website for Lastage. Do not want to pay over 50 usa for a dinner per person. Staying near Anne Frank house. Where should we eat at? What a great idea to take your wife to Europe for your anniversary! Since it will be your first time in Europe, let me start with a few general points that will be different from what you are used to in the USA and are valid not only for Amsterdam but also for the rest of Europe. First of all, service will be different and somewhat slower. For the best experience, my advice would be to ‘go with the flow’ rather than expect American service (let alone demand it, serving staff will not take that well). Unlike in the USA, you will have to ask for the check and it is normal that it takes 5 minutes or so to get it. If you go to a nice restaurant, the meal is expected to take 2-3 hours with plenty of time to enjoy the evening in between courses. If you’d prefer a faster experience, just tell your waiter at the beginning of the meal and they will usually be able to accomodate that. Portions will be smaller, especially in nicer restaurants and especially in the Netherlands where it is customary to eat everything that you get served (no taking it home) and so portion sizes are adapted to that. Prices include tax and 10-15% service charge. So if you’d tip 20% in the US, you’d tip 5-10% in Europe. US$50 is about 41 euros against today’s exchange rate. Is that including tax, tips, and drinks? Unlike some other places in Europe, in Amsterdam everyone speaks good English and most restaurants will have menus in English. In Amsterdam you can have a three-course dinner with bottled water for 41 euros per person in most mid-range good-quality restaurants. – De Kas is out of downtown and expensive. I would not recommend it. I can list more restaurants if you like. Please let me know if you have any other questions. Have a good trip and happy anniversary! Thank you for your advise. I have read so many books so I do know about dining in Europe. Thank you so much for the tips. You are great and will continue to read your blog! I can spend more money but the food has to be great! I have a wife and she must be happy! Have you ever thought of competing on Food network Star in America? You would be great! I follow Iron Chef etc. Ok, I will make a reservation at Lastage……….you are wonderful! Do you have a link to a english web site so I can make a reservation? Paris restaurants…………Pasco…………0’Chateau………….Fl restaurant in the 7th………We are staying at a apartment in the 7th………My wife loves sweets……any ideas how I can please my wife with chocolate? I have thought about competing on a food competition on TV (and it has been suggested by friends many times over), but I’ve not done so yet because from what I’ve seen it is more about entertainment than about food. I haven’t had dining experiences in Paris to recommend, difficult to find good value there. If you are going to Italy as well, please let me know which places and I might have some tips. As for chocolate, in Amsterdam I’d recommend going to http://www.puccinibomboni.com/ I’m sure she’ll be pleased! Oh my gosh, I had no idea what was meant by sous vide. What an informative post! Sadly, I doubt I would buy the water bath pictured. Can you get similar results just using a sealed plastic bag in a gently boiling water bath? If not, I’ll just have to try it out at a restaurant. You’d have to control the temperature of the water very carefully, as only a few degrees can already make a huge difference. So just using a sealed plastic bag in a gently boiling water bath is not a practical substitute. To get some idea of what sous-vide is like, you could try this recipe for salmon: https://stefangourmet.com/2012/10/08/mms-ginger-glazed-salmon/. You won’t have to use the ginger-red wine sauce, just the cooking technique will give you a good idea. Basic restaurants will not usually have sous-vide, but if you like fine dining chances are that you already had sous-vide without realising you did. I just got a sous vide for Christmas! I’m so excited. This post is so informative. Thank you! Congratulations, that’s a great gift! There are many sous-vide recipes on my blog and I will be posting more on a regular basis. If you have any questions about sous-vide cooking, please do not hesitate to ask me by leaving a comment. I would be happy to help. Good luck with your sous-vide! Thank you! Still waiting on it! If you put the meat in raw, it doesn’t really matter. Straight from the fridge is fine and probably best from a food safety point of view. I get it! Ok, thanks ! i had 36 hours sousvide malay chicken leg before…..
isn’t it save to eat that??? If it was cooked for 36 hours at a temperature of 57C/135F or above, it was definitely cooked through and safe to eat (assuming that the chicken was OK to begin with). Since it was chicken, it was probably cooked at a temperature between 60C/140F and 65C/150F and thus even safer. At such temperatures some blood clot may remain, but there is nothing wrong with that. Have you considered tuna? I love tuna confit–and can’t help wondering if it would not be great this way! I have considered it, but not tried it yet. I’m very fond of rare tuna, but it would be interesting to try it sous-vide with olive oil. Fantastic post!! I too have the same sous vide machine you do and I never thought about using it for custards. WOW! Thank you Stefan!! It is an excellent expose on sous-vide which I will use as a reference. Question, do you use it for your own cooking pleasure or for commercial purpose, i.e. restaurant etc. hi stefan. I am considering purchasing and using the sous vide for a 5 course meal but cannot quite fathom the process. I understand each dish can be controlled using specific temporatures and if i only have 1 sousvide set to cook beef. does that mean i cannot cook chicken also. your recipes look really good but just like to know how to merge them into a 3 or 5 course dinner . using the 1 sous vide. this also allows my guest to have their own choice of mains for example. If you do purchase the sous-vide cooker, I would recommend to figure out how to cook single dishes first before moving on to 5 courses and a choice of mains. The way to accomplish what you are after is to cook the different meats sous-vide in advance separately and then quickly chill the vacuum sealed food in ice water after cooking, and refrigerate. For service, set your sous-vide to 55C/131F and reheat everything. That will take about 2 hours, depending on the size of the foods. At 55C/131F, the food will not overcook and will just be reheated. You may want to do a quick sear before serving. This will work with most meats and vegetables, but not for fish and not for steak if you like it on the rare side. Hope this helps. Let me know if you have any further questions. I hacked together a sous vide controller (some soldering required) from a post on Instructables, the parts from eBay cost a total of $25 coupled with a cheap slow cooker I already had. I wanted to dip my toe in the bath (ha ha) before spending on a proper controller, I have my eye on the Anova. I love Amsterdam, sadly nowadays it is too far to travel to visit as much as I used to. Very impressive! Although I may have enlisted my ‘hubby’ to do the soldering for me, I took the easy way and bought an off-the-shelf sous-vide cooker. Have used it for over three years and am still very happy with it. Adam, I checked out your post and I think I know what went wrong. You are right, it was the cut of meat. Venison loin is very tender and your recipe would have been perfect for that. However, you write that you had venison SHOULDER, which is a tough cut of venison comparable to chuck or possibly flat iron with beef. For that cut, I would recommend 24 hours at 57 degrees, or 48 hours at 55 degrees. The long cooking time is needed to break down the tough connective tissue. You could also use a higher temperature and shorter cooking time, but then it would end up more like a traditional braise and you would not have the benefits of sous-vide. Let me know how you’ll like it. How would you recommend cooking venison haunch? I have a 1.4 kg piece and I’m thinking just 4h or so to bring it to temperature like a similar cut of young lamb? Venison haunch is a tender cut, so you are correct that just bringing it to temperature will suffice. I like it at 54.5C/130F. The cooking time is determined by the thickness rather than the weight: a thin but heavy steak-shaped piece will cook quicker than a “ball” shaped hunk of meat. As a rule of thum, think 1 hour if it is 2.5 cm/1 inch thick, 4 hours if 5 cm/2 inches thick. Hope this helps! Thanks Stefan. Cooking it to 54.5C for 4 hours brought the entire 1.4kg piece to temperature. The meat was easy to cut into individual portions with a chef’s knife but once it was on everybody’s plate it was incredibly hard to cut into pieces to eat! It became almost tender again in the mouth (think topside of beef cooked traditionally) but there was a lot of connective tissue that had to be eaten around. Perhaps wild deer is not the best candidate for sous vide. I did make venison in the slow cooker a few weeks ago that was much more tender. I wasn’t aware it wasn’t farmed. With wild venison, it is better also for food safety purposes to cook it until pasteurized, which means a longer cooking time and/or higher temperature. The wild deer may have been old. Or it wasn’t butchered properly, as there isn’t supposed to be a lot of connective tissue in venison haunch. I think you can get good results with wild venison cooked sous-vide, either properly butchered cuts from young animals, or by cooking longer and/or at a higher temperature for tougher cuts or older animals. I bow hunt and do everything from the shot to the table myself. With that I am more confident eating the tender cuts rare than I would be any commercial beef. I have a sous vide circulator arriving today. I have a 2 lb sirloin tip roast (football roast) thawing in the fridge that I want to cook this weekend. This is a pretty tender cut and it’s from a young deer. Maybe it should be called the nerd football roast! Considering the football shape and lack of marbling, what time and temp would you recommend for just under medium rare? Thanks. I’m looking forward to checking out more of your blog. Oh, I have a small old cooler I’m thinking about cutting a hole in for sous vide. It has a tight fitting lid. Do you recommend this and does it cut the time down? I recommend 53C/128F for 5 hours. That will keep it just under medium rare, as well as pasteurize it (see my post about food safety).. It is a very good idea to use a cover when cooking sous-vide. This does not cut the time down, but it prevents a lot of water loss and saves electricity. Especially for longer cooks the water loss can be a nuisance. Hope this helps and let me know if you have any further questions. That was supposed to read “nerf” football! Thanks for the recommendation. I’ll cook the roast to your specs and let you know the results. Thanks for your blog Stefan. I am new to sous vide cooking (one week now) but love what I am learning and experiencing. This weekend I tried boneless pork loin chops, about an inch thick, 135*F for 2 hours in a vacuum seal, then seared afterward. Everything was wonderful, except I used a pork chop spice from a specialty spice shop on the chops before sealing the bag. The salt in the spice brined the meat during cooking to a point that the chops were extremely salty. Have you tried cooking with only spices or herbs in the bag and left the salt out until the searing process at the end? Just wondering about your experience with this. Thanks! Hi Johan, great to hear you like the blog. I think your spice mix had too much salt in it. Spice mixes often have a lot of salt, because it is cheaper than what is actually supposed to be in it. Strange that you got it from a specialty shop. I have never needed to salt afterwards, as I prefer the salt to be diffused into the meat rather than just be on the outside. If after only two hours of cooking your pork was only too salty and not too spicy, there really must have been too much salt in the mix. I recommend that you use a spice mix without salt and then add your own salt. A good rule of thumb is to add about 1% by weight of salt. So for 500 grams (1.1 lb) of meat you will need 5 grams of salt, which is less than a teaspoon. Hope this helps. Let me know if you have any more questions. By the way, 2 hours at 135F for pork is a bit short. If the pork was still a bit tough, you could easily cook it for a longer time. I’ve done pork shoulder as long as 48 hours with great results. Can I ask your own thoughts about length of cooking venison haunch? you mention in your post above that venison cooking time depends on thickness of the meat. The steaks I am using usually come at about 1 inch thickness and I would like to serve it slightly pink (I like my meat medium rare but to play it safe for guests I may need to opt for a little closer to medium!). You also suggest that for venison it is not a good idea to brown the meat after it is cooked in the sous vide water bath as this will over cook it. However the meat will be vacuum packed for me before I can cook it so I have no choice but to brown it afterwards. Do you think it would be possible to compensate for this by reducing the sous vide cooking time (or temperature) so that the meat is rare at the end of sous vide cooking and then brown it very quickly in a pan at the end? I wonder if this would prevent overcooking? If the venison haunch steaks are 1 inch thick, then between 1 and 3 hours at 54.5C will be fine. The difference between 1 or 3 hours will hardly be noticeable. To cook them more medium rather than medium rare, you should increase the temperature rather than the time. If you are concerned about the safety of the meat, increase the cooking temperature to 55 degrees and cook them for 3 hours. This will pasteurise the meat (if it is only an inch thick). If the steaks are tender enough when just cooked for 2 minutes on each side, then there is no need to cook them longer than that to make them more tender. If you cook them for 12 hours, they will become more tender but there is also such a thing as too tender. Especially with sous-vide cooking. To avoid overcooking the venison steaks when you sear them after cooking them sous-vide, I recommend to cool the bags briefly in cold water before cutting them open. That way the meat will stay warm in the center, but cool down just enough on the outside to prevent overcooking. For the searing I would recommend clarified butter instead of oil for better browning, more flavor, and less splattering. You can brown on both sides as long as it for less than a minute per side, if the steaks have cooled a bit first as mentioned above. You mention that the steaks will already be vacuum sealed. This should not be done more than a couple of days in advance, as otherwise the meat may have an unpleasant smell (that you may have noticed when cutting open raw meat that was vacuum sealed). That unpleasant smell may be enhanced by the sous-vide cooking. I would also recommend to salt the meat before vacuum sealing it, which will allow the salt to penetrate the meat all the way for more even seasoning. Hope this helps — let me know how it turns out. Oh, about the vac packing – please can you let me know what you think about the following : if it’s done in advance and the packets are frozen for a few days then thawed on day of use could that still risk an unpleasant smell? Once again, thank you so much for the amazing advice! Hi Penny, you are welcome. For best results, season the meat with salt before the vacuum sealing. This will allow the salt to penetrate all the way through. If this is not possible it will work to salt afterwards, but the salt will be on the outside only. Some people actually prefer it that way. Made the venison on Saturday starting with frozen individually vac packed haunch steaks. Cooking time was just shy if 3 hours once the water bath reached the target temp. Then took your tip of cooling and searing the meat briefly before resting a few mins and serving. One or two pieces were a bit thicker so I let them stay in the frying pan slightly longer than the rest. The meat was nice and pink, which is what I was aiming for, served with a black currant and port sauce, celeriac mousseline, squash done 2 ways and a small quinoa salad. My group of guests were all very happy with their meal and complimentary of the results. Couldn’t have done it without your advice! So many many thanks indeed!!! Hi Penny, so great to hear it turned out well! For future reference: for the searing it is not necessary to sear the thicker pieces longer, as it is just the outside that you are searing (which is independent of thickness). Of course you can sear a thicker piece more without worrying as much about overcooking the interior. Ciao Stefan come stai? ieri eravamo in Puglia per un meeting gastronomico ad Orsara di Puglia in provincia di Foggia per il 19° appuntamento con la Daunia “The Garden of the Miracles” verso l’Expo 2015 in collaborazione con lo Slow Food Puglia. Una kermesse bellissima dove sono intervenuti fra fra gli altri 3 chef (tra cui uno giapponese) che hanno preparato davanti agli ospiti dei piatti straordinari usando le verdure raccolte nei grandi orti dell’azienda agricola.Splendida giornata di sole c’erano più di 30°!!! troppo caldo!! Quando ritornerai in Italia ti consiglio assolutamente di fermarti al Ristorante di “Beppe Zullo” e di visitare i siti: http://www.peppezullo.it – http://www.villajamele.it – info@peppezullo.it tel. 0881.964763. Complimenti per la tua rivisitazione del Pan Ducale. Sarà stato buonissimo! Great blog! I am cooking for a pregnant guest next weekend and was wondering if venison (or any other red meat for future reference) cooked in the sous vide at 55C would be safe for her to eat? If the venison is farmed rather than hunted, just like beef it can be pasteurized by cooking it for long enough at 55C. When it is pasteurized, it is safe to eat for a pregnant woman. The time needed at 55C depends on the thickness. If a farmed venison steak or a beef steak is 1 inch thick or less, 2 1/2 hours is sufficient. 4 hours for 2 inches thick. These times are calculated by the time needed for the core to reach 55C, plus 1 h 31 minutes for the core to be then pasteurized. If she likes meat that is not cooked to death, I bet she’ll love this! Hi Stefan, nice friendly site with interning stuff. I have just bought a sous vide supreme and I am interested in the information you have on it. Can you recommend a good book that has recipes that are from the simple everyday meals that can be frozen perhaps to the more adventurous occasional special? The far north of Scotland. Thanks for visiting and the nice compliment. I do not know of a good book for sous-vide. I have three books, but they lack the basics and have inaccurate cooking temperatures. You can find the type of meals you are looking for my on my blog. If you have any questions about how to make a sous-vide version of another recipe, please feel free to ask as I have quite a bit of experience with that. 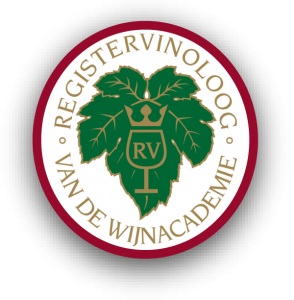 Hello can you recommend a sous vide restaurant in Amsterdam? Trying to find a chef to give a private sous vide training as a gift, but this is more challenging to find that I’ve thought. Thank you! Great for slow cooking this ‘oven’! Never heard of it but fur sure i’m going to find out more about it. Thanks for the info and tips. Thanks, Ray, I’ve been using it for 4 years now and it’s great. You know where to find me if you have any questions. I have the Anova circulator and a vacuum sealer. My first two attempts at steak have been disappointing. I was wondering if you could show me the error of my ways. Hi, this doesn’t make any sense. There is no way a raw steak can turn grey at those times and temperatures. Have you verified the water temperature? At 57 or 54.5 you should be able to stick your hand in without burning it, but a thermometer would be more safe and accurate 😉 And I don’t mean the thermometer that’s built in the Anova! Let me know what water temperature you measure. Which ziploc bags do you use when you are not vacuum sealing? I’ve been looking around, and here (in Denmark) it’s not easy to find ziploc bags that are made for cooking as well as freezing. I use the ziploc bags from Sous Vide Supreme; you can order them online. They are expensive but you can re-use them. Thanks for the kind words. Hope to see you again soon! This article has been a huge help for me as I am beginning to learn this awesome way of cooking. I love my cooking, so finding a detailed instruction guide to making the perfect meal and cook it just the way I like it is awesome. Out of curiosity, what do you all use to cook sous vide? Just curious to hear about what everyone else is using to cook in their own way. Your drawback of the equipment taking up a lot of space is something that has made myself hesitant for cooking sous vide. I have been looking into alternatives and found the Paragon Induction Cooktop (http://bit.ly/Paragon1B) to be a good possibility. It’s rather small in size but still maintains the same temperature, which makes it a great contender for sous vide. Do you have any suggestions or thoughts on using induction cooktops for cooking sous vide? Now that there are cheap immersion circulators on the market (I should update my blog to include that information), space is no longer an issue. The advantage of the induction cooktop would be that you could also use it for other purposes. However, compared to an immersion circulator it does not stir the water, so the temperature will be more uneven. It will also be less even than a SousVide Supreme, because that monitors the temperature at multiple places. I recently bought an Anova sous vide for our weekend house and we love it. But at the apartment where we live during the week we really miss it. Yesterday I did an experiment to ‘fake’ a sous vide. I had a nice peace of tournedos and vacuumed it with the water displacement technique. The I took a big pan and filled it with warm water from the tap. I used an old fashioned meat thermometer to measure the temperature and filled up the pan every 15 minutes with boiling water to keep the temperature at 58 centigrade. After 2 hours I had the perfect rose beef. I seasoned it again with salt, pepper and coffee (you should try that) and grilled it in a pan. Really good! And no fancy equipment. But I still consider to buy a second sous vide machine for the apartment. Much easier. First, thank you for your blog, it is really interesting. I am very involved with Sous Vide, and noticed your recipes for rabbit called for 3-4 hours and quail legs for 6-8 hours. That surprised me a little since I would expect the rabbit to take longer. It seems you have found out yourself already that rabbit doesn’t need a long time. If you try it 3-4 hours at 60 degrees, you will see that the rabbit will be tender without being too soft. What other things do you prepare sous-vide? etc. I also work quite a bit with Activa and have made some interesting roulades with both meat and fish. Just ordered my first chamber sealer, so I am very exited to start with that. My favourite sites I follow is ChefSteps and Modernist Cuisine, so I get a lot ideas from them, but I am glad I found your blog to help me as well. Always nice to ‘meet’ another sous-vide fan. Congrats on ordering the chamber sealer. I’ve not regretted buying one even for an instant, despite the substantial investment in terms of space and money. Have you ever done salmon at 43 degrees? It’s amazingly buttery. Yes, I have actually done it at 40C and it was a very surprising texture. Not sure if I like it better raw though ???? I’ve not tried 40 yet, so I don’t know what it’s like. I have tried 38, and that was more like raw (mi-cuit). 43 is so buttery you could eat it with a straw. Yes, it was mi-cuit, with a consistency somewhat like custard when done at 40C. As a follow up, I’ve recently done some more testing and now recommend rabbit cooked sous-vide for only 2 hours at 60 degrees, to prevent overcooking it. I am in full agreement with your timing and temperature, I begin to have a good understanding between tender and tough cuts and how to treat them with S V.
I basically cook everything I can SV, but I am starting to be more impressed with tough cuts, long cooking like paleron, beef ribs, flank, breast, shanks cheeks and so on. I still like tender cuts SV but do not get the same elation with the resuls, even if they are perfectly good. Let me know if you have any questions, always happy to answer. What an inexhaustible resource for sous-vide! I’m so happy you’ve visited my blog, for the reason that now I have discovered yours! I’m very interested in experimenting sous-vide, so I’ll be coming back to study all the work that you’ve done. My name is Marco, a british expat with Italian (Ciociaria) and Maltese parentage, currently residing in Hong Kong with my lovely Italian wife and two little boys. Both myself and my wife love to spend time in the kitchen, and all four of us love to eat the food that comes out of it. My 6 year old has my palate for both pasta and great Asian food that we are so lucky to have here in HK, as well as any other world cuisine that we occasionally try our hand at, be it a North African inspired Tagine, a Fideua from just across those waters, or a spicy Mexican Chimichange. My little one has a sweet tooth like his nonna, and loves Xiao Long Baos like his mum. I guess I am one of your most silent and inspired fans, lucky enough to stumble across your website a couple of years ago, think keyword used was sous-vide actually, not long after I left the UK for work and pastures new. I am not ashamed to say that I visit your site as often as I do, say, the Guardian website, it has just becomes a habitual part of my day. I truly marvel about the way you blog about your food and experiences in the kitchen. Apart from being naturally intrigued especially by your Italian (and Asian) recipes, I think it is simply brilliant how vast your repertoire is, the places you take us the reader from your kitchen, how eloquently you recount your cooking methodology with clear instructions and pictures. And the recipes….. the recipes, wow. I have just reread every single one of your stock recipes, just because I need inspiration for some friends coming for dinner tomorrow evening. Your Italian Menu portfolio is incredible. Who outside of Italy would even think to post about a simple ricetta di Cacio e Pepe, oppure un bel piatto Pugliese le Orecchiette con cime di rapa? Then there are your Asian dishes, the adobo, ramen, and Chinese style broccoli with Pork belly. All foods that I love to eat, and do it on a regular basis. Anyway, just wanted to say, well done, and thank you, and keep it up, because I am sure that there are many others like me who take inspiration from you. And I also wanted to ask you. You have a sous vide machine, obviously, that you have had for the last couple of years, is it the Supreme? If you were to think of buying one now, would you stick with the traditionally bigger water basin type, or do you think there is any merit in the newest range of machinery, such as the American Anova that I see advertised? Thank you so much for your very nice message. It is responses like yours that give me the energy to keep going with the blog. It is correct that I’ve had the SousVide Supreme for over 4 years now. Back then it was the only consumer mass market sous-vide solution. Since a few months I also own an Anova. I still prefer to use the SVS because I do a lot of long cooks (24-96 hours) and it has better insulation and you don’t have to worry about evaporation. The Anova and similar immersion circulators however require less space, are cheaper, and more accurate. I personally don’t believe the difference in accuracy is significant (although I’d like to do some testing to confirm my hypotheses). So if space and/or money are an issue, the Anova or a similar immersion circulator is a good choice. Just take into account that for longer cooks you will have to build your own basin with insulation and take measures against evaporation (otherwise the water level will drop and the circulator will switch off). Hope this helps. I should really do a blog post on SVS vs Anova. I am curious: have you tried recipes from my blog, and what is your favorite? Yes I have tried many of your dishes, the most recent being your Risotto con crema di Gamberi, which we really liked, and agree that the hint of cayenne enhances the dish. Your Salmonara is a really good idea. Salmon with pasta is always wonderful, one of our dinner time staples is un bel piatto di pennette al salmone, a simple sughetto di pomodoro enriched with a hint of cream to turn the sauce pink like the smoked salmon that it is made with. Rather than be one to follow recipes to the letter, I prefer to take ideas and inspiration from others, using the seasonal ingredients we have available to us in my dishes. It is amazing what you can do with a packet of De Cecco married with some baby Choi Sum, baby kale tops, or mustard leaves. I have seen you and been to and cooked Japanese food. Lovely. What is your opinion on Chinese and Cantonese cuisine? Have you any intentions of giving a Shanghaiese Xiao Long Bao a try? Not easy I’m sure, but I’ve no doubt that you can manage it with your dab hand at making great thin pasta and tasty broths. Or maybe a more hearty dish that I simply love, some Chu Hou Beef Brisket with tendons, usually served with some min noodles and choi sum. I also have both machines and agree fully with Stefan, the SVS for long cooking and the Anova for short. Hi. Here is a question I have had a hard time finding any info on. Once the food is cooked using sous vide, how long can you leave it in the water to consume later? Is there a time limit or should the temperature be reduced? Thank you. Hi Eric, that is a very good question. The answer depends on whether you are preparing tender meat, tough meat, fish, or vegetables. There are two factors to take into account: food safety and overcooking (which with sous-vide doesn’t mean drying out but becoming unpleasantly tender/chalky). Food safety: it is only safe to cook or hold for longer than 4 hours at temperatures of 54.5C/130F or above. Overcooking: at the cooking temperature, the food will slowly continue to become more tender. How long you can hold it depends on the toughness. If it takes long to become tender, you can hold it for hours without any noticeable difference, especially if you lower the temperature to 54.5C/130F. This means that vegetables (cooked at 83C/184F) can kept for several hours if the temperature is lowered to 80C/180F. Tough meat can be kept for several hours, especially if you lower the temperature to 54.5C/130F to slow down the tenderizing (assuming that you cooked it at a higher temperature). For fish the window is pretty short and it will almost surely overcook if held longer than an hour. For tender meat a couple of hours should be okay, but some types of meat, like rabbit, may become too tender pretty soon. Stefan – I don’t know if you’ve ever cooked swordfish sous vide, but would you care to wildly speculate on what the ideal temperature for doing so might be? You have a great sous vide guide and I’ve also learned a lot reading the comments. I have a question though, I have the anova circulator and I was wondering if there are any problems using it for longer recipes – I want to do a lamb recipe from the modernist cookbook that takes 72 hours. Is it safe to keep the circular on for that long? Hi Diana, great to hear my blog has been a source of information for you. It is safe to use an immersion circulator for 72 hours or longer, as long as you cover the container that holds the water. Plastic wrap will do, but for energy saving something more substantial would be nice. The important part is to prevent evaporation. Or more precisely, to ensure that any water that evaporates will drip back. I would still recommend to check the water level a few times, especially after 6 hours or so, to see whether it doesn’t drop. The Anova will automatically shut off when the water level becomes too low for it to operate safely. However, it may ruin your lamb. I’ve had best results with lamb shank, by the way. I have assembled my own SousVide machine at home, and so far so good, but not great -:). Very informative and interesting Blog, well done. Hi Tarek, well done on assembling your own sous-vide setup at home. Pork shoulder is also great (2 days at 57C). One of my favorites is lamb shanks (2 days at 62C). Chicken is also a great choice, with temperatures between 57 and 64. Or rabbit at 60C. I like fish on lower temperatures, around 50C. You could try it at 56C and it will still be OK, just not as special. Salmon is out of this world at 43C and will be more ‘normal’ at 56. Let me know what you end up cooking. Oh and thanks for e-mailing the photo. It looks nice! Thanks very much for quick and informative reply, I am on a mission this weekend, will let you know the result, I will try to replicated some of your recipes. Great, looking forward to read about your results. By the way, you could also upload photos to the blog’s Facebook page. Have a fun weekend experimenting! Is there any concern with the plastic bags leaching chemicals into food when cooking sous vide? Hi Michael, that is only a concern when using the wrong type of bags. The bags should be food grade and suitable for cooking. 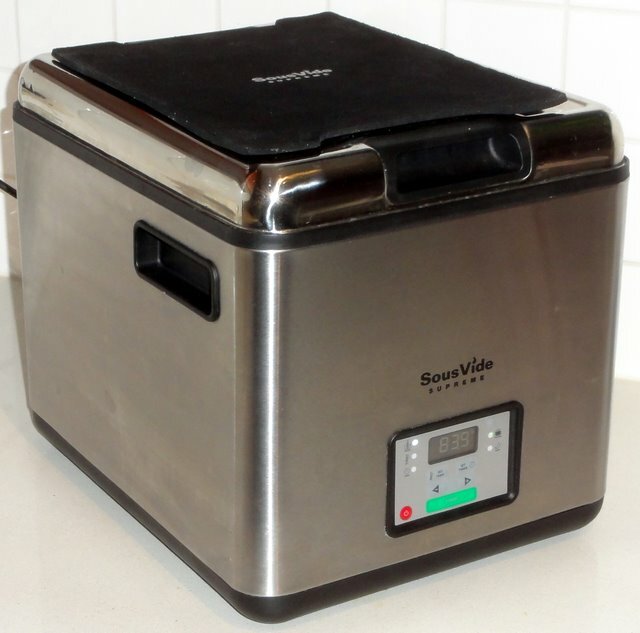 What sort of water bath home machines do you reccomend, I’m currently looking into buying the Anova Precision cooker because it is small and looks easy. Any thoughts? I’m going to do a post about this soon with more information. The quick version is like this. The Anova is small and easy indeed. It is also relatively cheap. The drawback of the Anova is that you need to construct some kind of water bath yourself. This can be any kind of container (like a pot or a beer cooler) but especially for longer cooks (and sous-vide cooks can be up to 4 days!) insulation and prevention of evaporation are important. The advantage of a Sous Vide Supreme is that it is ready to go, with insulation and a cover so evaporation is not an issue. The drawbacks however are just contrary to the Anova: it requires more space while you are not using it, and it is more expensive. Hi – I was considering trying a boned stuffed pheasant in my sous vide supreme – any thoughts or issues you can think of? Make sure the pheasant is very fresh. Cooking the phaesant sous-vide will enhance any “off” flavors or odors that it already has, so it can come out smelling quite funky. This is only an issue with wild/feral birds (as well as rabbits), not with farmed birds like chicken or turkey. Otherwise the same applies as for chicken, which is that the optimal time and temperature for breast and legs are different, so you will have to choose a compromise. Hi, Stefan, I’m new to sous vide too and reading up on a variety of sites on methods and rules of thumb. Yours is especially helpful. Some friends are coming for New Year’s eve dinner and are donating some venison cubes they were given by a neighbor. I am pretty sure they are something tougher, like maybe shoulder, but they will be cubes, so not sure how to estimate cooking time. It seems thickness matters, but maybe volume of each piece does too. Any advice on time/temperature? The meat will eventually end up in some kind of stew. Hi, thickness matters mostly for tender cuts as it determines the time it takes for the core of each cube to reach the temperature of the sous-vide. As a rule of thumb, 1 hour for 1 inch cubes, 4 hours for 2 inch cubes. 55C/131F is a good temperature for most venison cuts. If you are going for a traditional stewed texture (flaky), there is not much point in cooking the venison sous-vide. Hope this helps; would love to hear how it turns out. How do you cook a steak via sous vide for service? Do you cook the steak sv to the desired core temp then put in fridge the night before then reheat in bath for service? How long can you hold the steak for? For a tender steak (i.e. a cut that you could sear and finish cooking with residual heat or in the oven), “cooking to desired core temperature” and “reheating” are the same. So there is no need to cook them the day before, unless you’d like to use cheaper more flavorful cuts that will become tender by holding them at a core temperature of 55C/131F for a longer time (e.g. 12 hours) such as flank steak or flat iron. For tender steaks, the time needed to reach the desired core temperature depends on the thickness of the steak. When serving medium rare or above, you could hold the steaks for several hours until they overcook. How long depends on the cut so you’ll need to experiment a little. When holding below 53C/127F, take into account that is in the so-called danger zone for bacterial growth, so no longer than 2 hours or so. If you salt the steaks before vacuum sealing, take into account that will cure the steaks if you do it long before the cooking, which may result in a ‘hammy’ flavor. Finally, it is a good idea to cook the steak under the desired final core temperature for serving, or to allow it to cool off a bit before searing, as the searing and carry-over heat resulting from that will increase the core temperature. To reduce this effect, flip every 10-20 seconds when searing. Do you have any tips on using cooking steak sous vide for service? If you want to serve steaks both medium rare and medium well, you could precook some steaks medium-well (e.g. at 65C/149F, what a waste of steak though!) and then hold them at 55C/131F (medium rare) together with the medium rare steaks (that would not require any precooking). The cooking time is the same. What other kind of tips are you looking for? I just got a sous vide my self. I am printing out your recipes… it is going to be a sous vide cooking home. Thanks for all the great info! Hi Dieter, as you kept the bag closed and cooled it in ice water, it will certainly keep for weeks. It also depends on the temperature inside your fridge. Wow, thanks for the quick response, look forward to perusing the rest of ur site!! I just bought a food saver vacuum machine. Do you have any tips for me when using it for sous vide? Also, my first time using the machine will be with a 3 inch (7.5cm) piece of grain fed striploin which weighs about 1kg (including a half inch fatty side). I like my meat to be either red or rare. Medium rare is already pushing it for me. Any suggestions on cooking time and temperature? Great advice Stefan, the meat turned out to be perfectly cooked and very tasty. Thanks again! Hey Stefan, very informative blog, thank you for sharing your knowledge. Just got a sous vide today and am planning its first outing this weekend for a dinner party. Have a venison loin which is 3cm thick from local organic ‘farmed’ estate deer – head shots and quick field butchery. Have pan fried previously and it was incredibly tender stuff. In addition to seasoning, thinking of rubbing in a little chopped rosemary and sage, adding some butter. Maybe adding a little peaty single malt to the butter. Then a flash sear on each side. What are your thoughts on the herbs, butter and whiskey in the vacuum packs? Hi Chris, great to read you like the blog. I have two suggestions for you. First, in response to your question, with such a short cooking time there will be very little effect of the herbs and whiskey and they may interfere with the sear afterwards. I would cook them sous-vide with just salt and pepper, and then make a pan sauce after the searing by sautéing herbs, shallot and garlic in the drippings left in the pan from searing the venison. Deglaze with whiskey and mount with butter. Season to taste with salt and pepper. Wrap the venison in aluminum foil while you are making the sauce. Second, if you want to serve the venison cooked to 54.5C you have two options. Option A: cook it to a few degrees less, let’s say 53C. The searing and carry-over heat from the searing will take it to about 54.5C. Or B: allow to cool slightly, let’s say for 10 minutes, before searing. Have fun with your sous-vide and let me know if you have further questions. Hi Stefan, it went really well. I did the 53c option for 3 hours and then did a quick sear with the herbs and left to rest whilst I made the sauce. The meat ended up being on the rarer side of ‘medium-rare’ so was perfect for us. I was amazed by how consistent the cooking is across the width of the meat which gives it such delicacy. Thanks for the advice on the sauce, the whiskey, rosemary, sage and juniper (I put in too many berries) added a bitterness to the sauce which I had to balance out with some additional beef stock, some port and a spoonful of Demerara sugar and it finished really well. In think if I would have added all that to the vacuum bag, it would have taken something away from meat and so thank you for your advice. Energy: I’ve got a smart meter which gives live energy usage data (both money and kw) I’m in the UK so in terms of money, the machine used £0.20 per hour of use. In kw it was using 1.529 kilowatts. 1) At what point in sous vide cooking does tender meat (venison loin/beef fillet) transition from being tender to taking on a mushy consistency? How long could I theoretically have cooked the venison loin for to gain the value of herb infusion. Hi Chris, thanks for reporting back. Great to hear it turned out well. The consistent cooking across the width is what makes sous-vide special with tender cuts. Wait until you try it with tough cuts and long cooks, that is even more special as you can have medium-rare beef brisket or lamb shank that is still pink. If you want to marinate tender meat, it is best to vacuum seal the meat with the herbs etc. and refrigerate for a day or longer, then cook sous-vide as normal (no need to remove the herbs first). The mushiness depends on the cut and temperature, but it could start as quickly as after 6 hours. It hasn’t happened to me that often, as I try to avoid it! Better each in their own bag, unless the bag is so large they’re not on top of each other. Cook time is 3 to 4 hours. Temperature 50C/122F for rare or 55C/131F for medium rare. I have never prepared (or eaten) abalone. According to Modernist Cuisine, it should be cooked sous-vide for 16 hours at 90C/194F. thank you for your great site, it’s really informative and well structured. Last year I used your recipe for Fresh Pasta with Rabbit (Tajarin al Sugo di Coniglio) and it was delicious. It tasted the way I remember it from Northern Italy! Searching for the rabbit pasta I also browsed through the sous vide section. Now I’m looking for a sous vide cookbook for a friend and since your blog is a good mix of theory, recipes and practical tips I would like to ask you for your recommendation. I am sorry but I am not aware of any good sous vide cookbooks I’d recommend. I have a few, but they are quite bad. I can recommend the books by Harold McGee. They should be interesting for someone who’s cooking sous-vide. Have you tried using sous vide balls instead of traditional lids? Hi Angie, since I mostly use my SousVide Supreme, I have no use for those balls. I think they’d be useful if you own a sous-vide ‘stick’ such as Anova. But I have no personal experience with them. I understand you use a chamber vacuum for sealing. I live in NL and was wondering which brand you use, are you happy with it, and where did you buy it? p.s. I really enjoy reading your site and I am making Dinner tonight based on one of your detailed guides. thanks! I use a Henkelman, their smallest model that is called “Mini Jumbo”. Henkelman is a Dutch company and the market leader for the professional market; most butcher shops have one of their larger machines. It is very reliable but also quite expensive; new about 1000 euros. I got mine second hand for about half of that. Thanks for your nice words. What are you making for dinner tonight? So I’m surprised about something. I typically cook meat like brisket and flank steak for 48 hours at 135 degrees F. But then I see you have hanger steak listed for only 3 hours at 131 degrees F. I would have thought it was a tough as brisket and flank steak? Obviously I’m wrong! Hanger steak is definitely more tender than brisket. Flank steak is somewhere in between, and if cooked for 48 hours than 131 degrees is enough to make it very tender. I think hanger steak could also benefit from longer than 3 hours at 131 degrees, depending on how tender you prefer it. After 3 hours without warm aging, you’d have to slice it thinly against the grain. i´m gonna do roast beef on Sunday and we´ve got 29 people for dinner we´ve got three pieces of roastbeef weighing 1.8 kgs each. I thought to cook at 55C and for about 6 hours – what sort of texture and will this still be medium rare? what would happen if i was to cook for 14 hours? would the meat still be sliceable or would it be more pulled? glad for your comments.. thanks. For the time I’d need to know the thickness rather than the weight. It would also help to know more specifically which cut of beef. Depending on which cut, 14 hours may be too long and make it mushy rather than pulled. If it is the right cut and not too thick, 6 hours at 55C will make it perfectly medium rare and sliceable. Also make sure that water can move in between the three pieces while they are in the sous-vide, as otherwise you’d have to consider it like a single giant piece. Im planing to buy my first Sous Vide and from all brand that I saw, Anova and supreme are the most popular, being supreme the most expensive. For home purpose which one do you recommend me? Just purchased my Anova and started cooking brisket two days ago. Forty three hours into cooking I heard a loud bang on the front porch and ran out to find my can-cooler, with my Anova still attached to the partially dislodged lid, was over on its side, the screen torn away from my door, and a large bear running away. He smelled the brisket that was sealed in double mealsaver bags, fully immersed in five gallons of water inside a well insulated cooler with a tight fitting lid. The hole in the top of the lid was only large enough for the Anova to fit. Won’t be doing any Sous Vide cooking on my porch again. By the way, 135 degree water IS hot enough to chase a bear. What a story! Were you still able to enjoy the brisket?